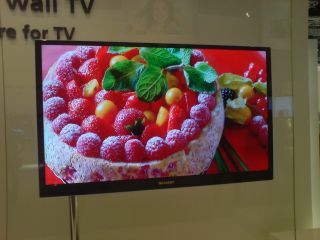 Shops dishing out dodgy HDTV advice? While many TV retailers are able to give "broadly accurate" information and sound buying advice, there is also a lot of misinformation being spread. That's according to a research study commissioned by Ofcom. Ofcom asked Continental Research to conduct a mystery shopping exercise amongst retailers of HD Ready TV sets. The regulator wanted to see what kind of advice retailers gave consumers about how to get high definition TV services. The conclusion of the study was that information provided to shoppers about HD Ready TV sets was accurate in the majority of cases. But there was significant confusion amongst some retail staff over the current and future availability of HD services on Freeview, and, to a lesser extent, terrestrial TV. Continental Research's mystery shoppers said that when inaccurate information was provided, it was largely as a result of poorly trained, or poorly informed, sales staff, rather than an attempt to deliberately mislead consumers. So while some retailers are ignorant, at least they're not trying to scam us. One of the main confusion points was that some shoppers were given the impression that HD pictures are already being broadcast on terrestrial TV. Which of course is completely not true. Twelve per cent of in-store mystery shoppers were given the impression that an HD Ready TV set would show high definition pictures from analogue terrestrial TV broadcast. While 14 per cent of shoppers were given the impression that an HD Ready TV set would enable them to receive HD pictures via Freeview, which is also not true at present. Seven per cent of shoppers were incorrectly told that no extra equipment was required and nearly one in five were only told about this requirement when they asked. But despite the minority being given poor advice, in most cases it seems the retailers did a satisfactory good job. Over half of stores had a TV specialist on hand to offer advice. And crucially, in the majority of cases, the store assistant's explanation of the term 'high definition' was "broadly accurate". With TVs these days, it's important to do your research before you buy. Make sure you're up to date with all the lingo before you go into a shop, and read more than one review of the TV you think you might buy before you actually spend your money. Some people like to get buying advice from in-store shop assistants, and then go home and buy online because it's cheaper. We'd never encourage you to use such cheeky buying tactics, of course.